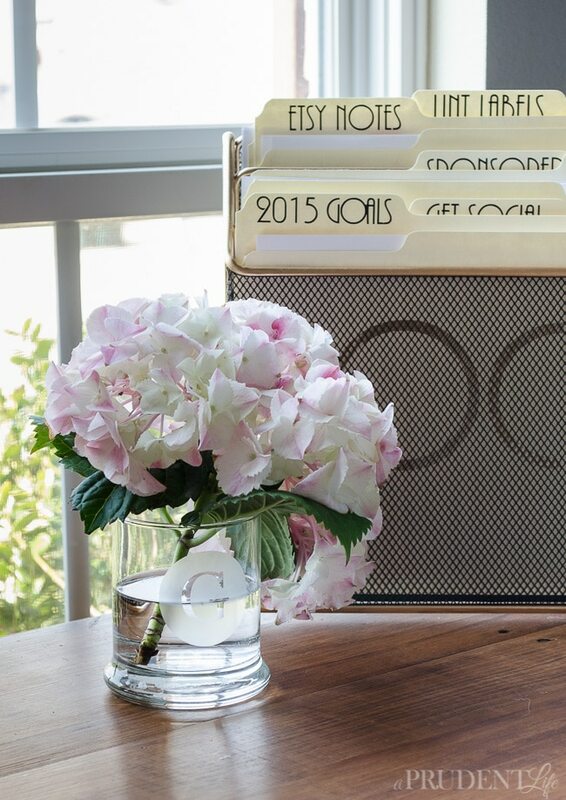 A few days ago I shared my most popular organizing ideas of 2015, and now it’s time for the spotlight to shine on decor. I was thrilled to see that this list includes a mix of DIY projects and non-DIY decorating, which is a real reflection of how we live. While I have fun with most of our DIY adventures, I’m quite the fan of shopping too. 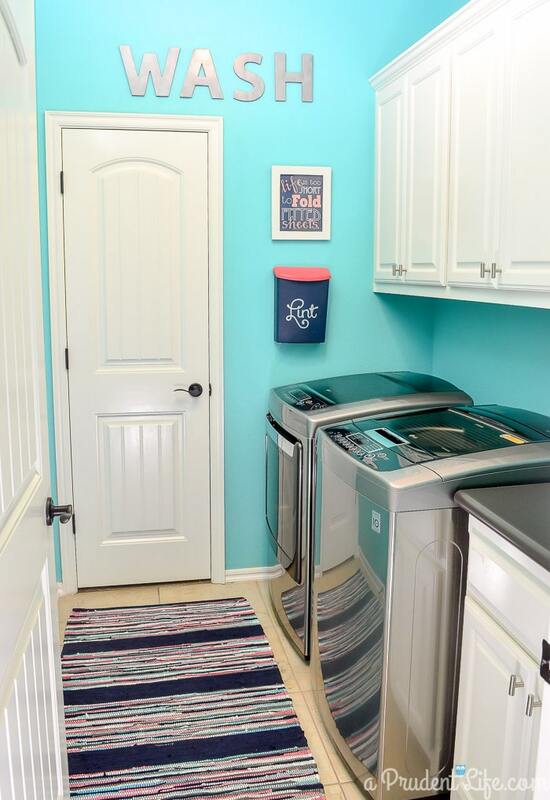 My general philosophy is to DIY what we can to stretch the budget and even leave room for the occasional splurge. The next year should be the same kind of balance, with new rooms getting some much needed attention. We’ve got plenty of scary before photos ahead in 2016! 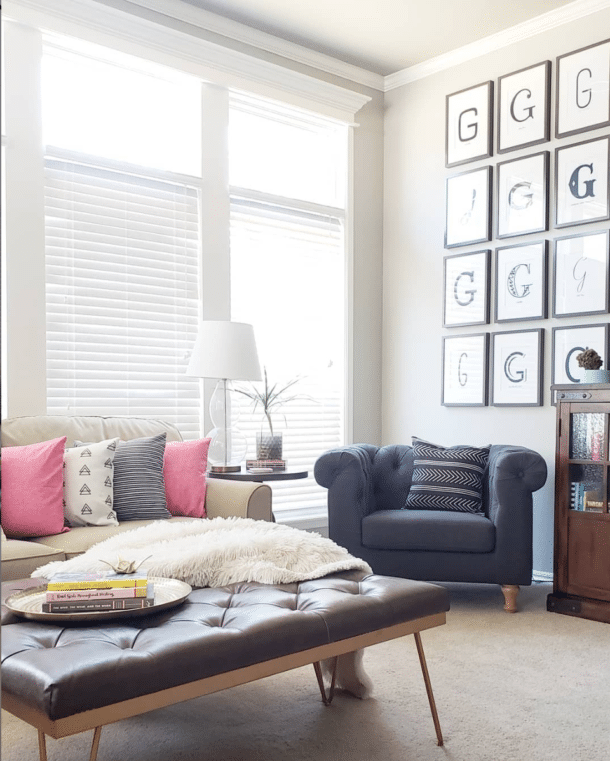 #1: Three Cheap to Chic Vase Makeovers – I had hoped that this post would do well because so many people can relate to having a house full of plain clear vases. And if you couldn’t relate to that, you could pick up the same vases at Dollar Tree and end up with some chic cheap decor. I still use all three of the vases around the house, but the monogram is my favorite. 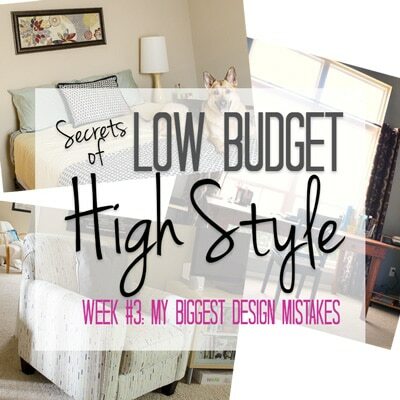 #2: Low Budget, High Style #3: My Worst Design Decisions – I started the Low Budget, High Style series last year after going through a pathetic pity-party funk that we didn’t have any room in our budget to do the projects that I wanted to do. The series completely de-funked me and it seems to have resonated with many of you as well. Two of the three installments made the top list, and this one was all about my worst design decisions. The best way to blow the budget is to spend money on the wrong things. I outlined where I’ve made this mistake and specific things to watch out for in your own shopping. 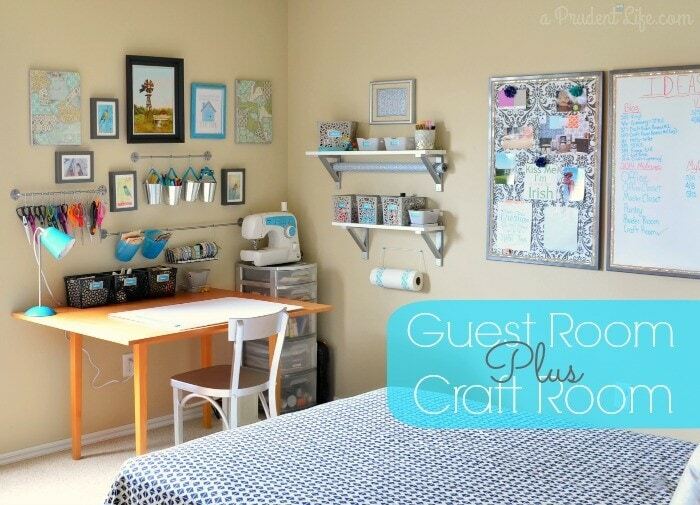 #3: Guest Bedroom Essentials – I suspect the popularity of this post had a lot to do with the DIY sign we made for the guest room. Although using piece of furniture intended for a kitchen in the guest room also worked out pretty well. 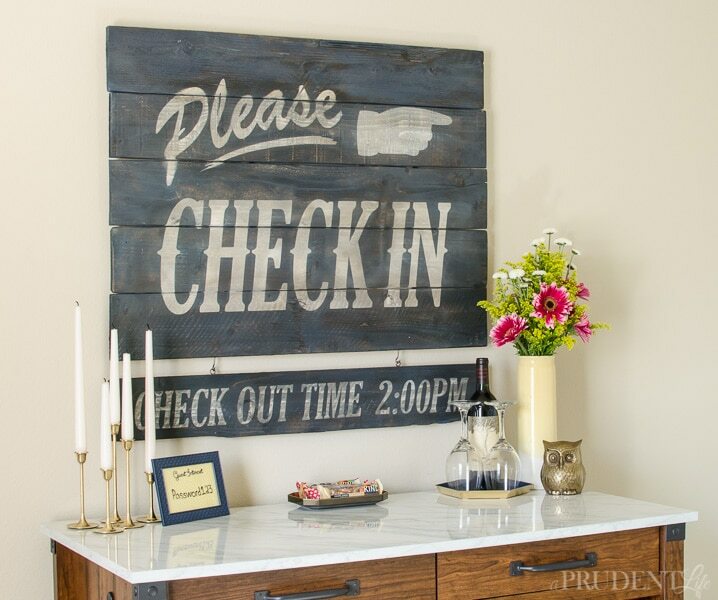 I couldn’t pass up the chance to tell you there are just TWO of the “Please Check In” signs left on ETSY and if you order before midnight on 1/1/2016 with coupon code NEWYEAR2016 I’ll give you 20% off! 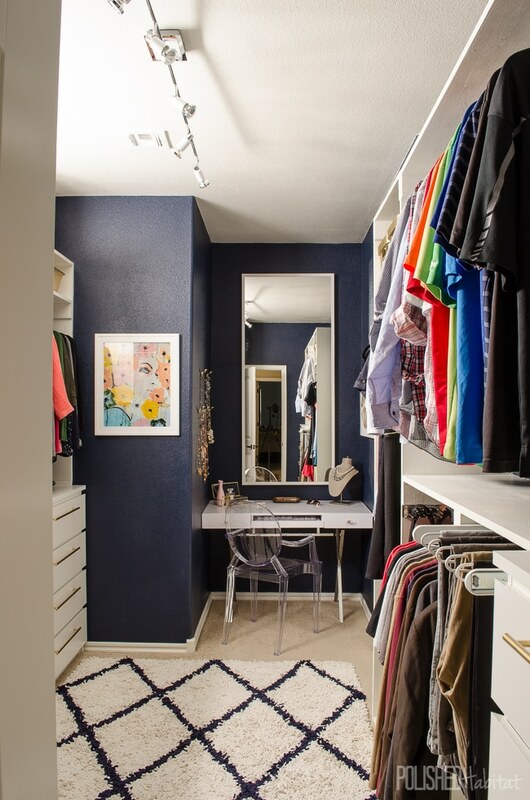 #4: Master Closet Reveal – Even though I included the closet as an organizing post earlier this week, I thought it should still make the list as a DIY/Decor project. Because there was NO bigger DIY project this year, and no space I spent more time designing decor-wise. I’ve struggled to define my style in the past because there is such a wide range of design that I really love. 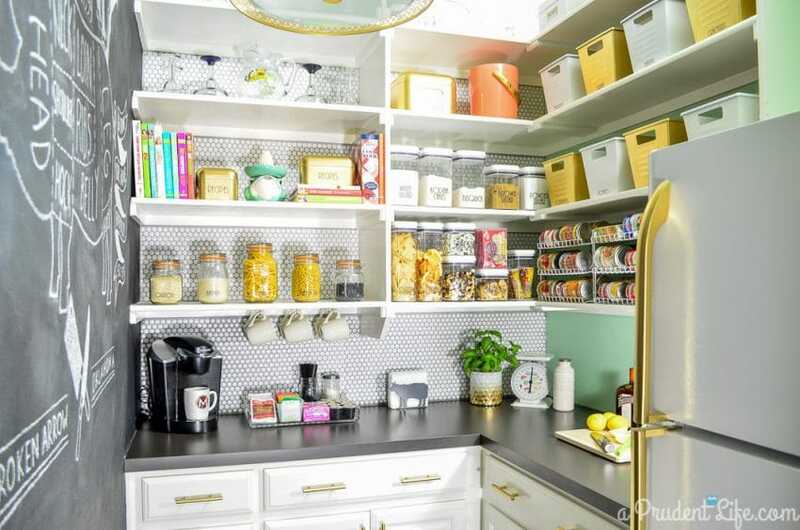 But, with the closet, the phrase “functional glam” kept popping up in my head. I think that will stick around as I tackle projects in 2016. #5: Office Reveal – The office marked an exciting time of the year because I designed it using 3D software for the first time. It really helped me with space planning and visualization! 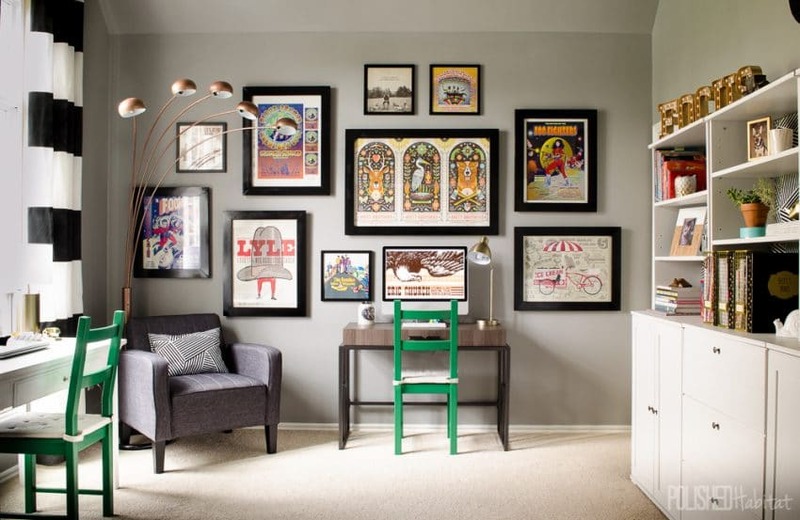 The room works so much better for us now, and the gallery wall is inspiring! If I can swing it, I may change out my white desk for something a little larger this year, but the rest of the room is perfect! I’d love to find something with more drawer space and a few more inches of work surface. But, for now, using this desk that we already owned was a great solution! 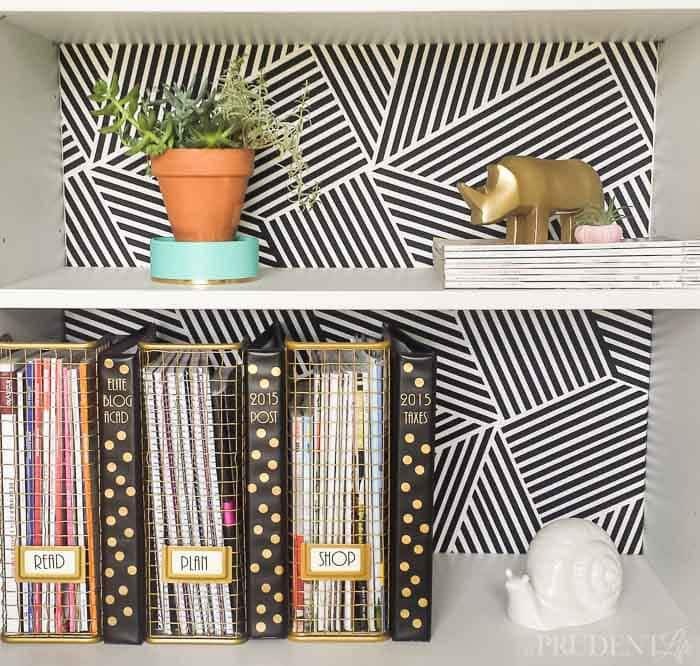 #6: How to Decorate Shelves – Before the office makeover, I did a post on styling the bookshelves with things we already owned. I think it was popular because so many of us have stared at empty shelves wondering where to start. #7: Fabric Bookcase Backing – Yep, #7 is another post from the office! The same bookcase shown above got a simple update when I added fabric to the backing. Now it’s got way more style! #8: Low Budget, High Style #1 – The first installment in the Low Budget, High Style series was also a reader favorite. 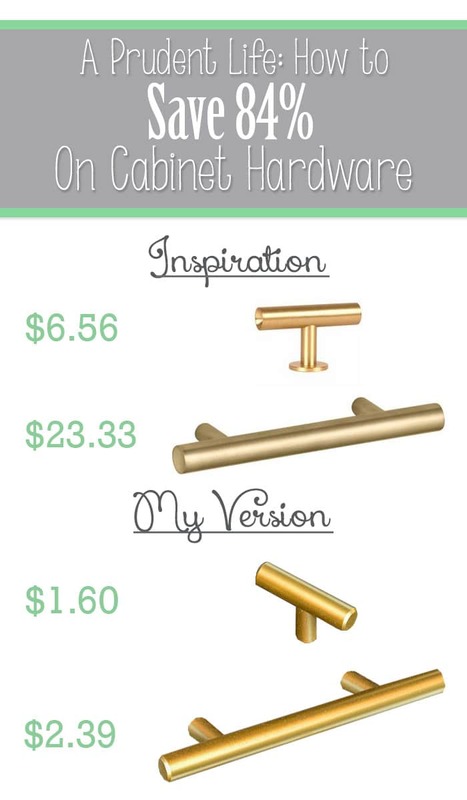 It’s all about revamping items to get the look you want, no matter your budget. It’s got some pretty great tips that I need to re-read for myself going into the new year! 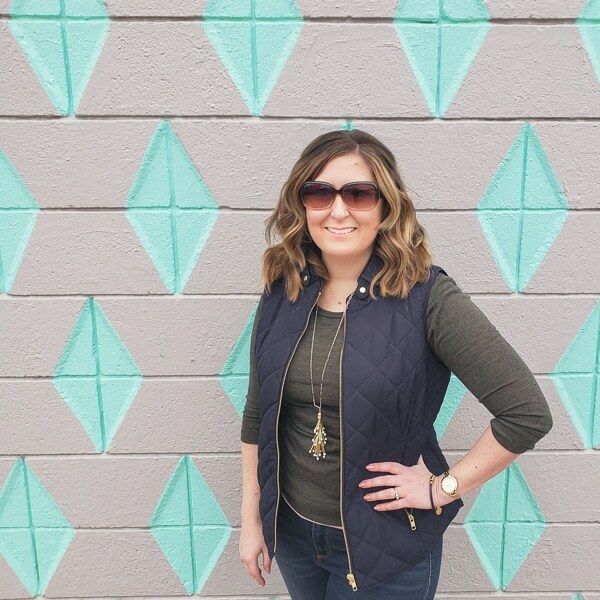 #9: Affordable Headboards – In the intro to this post, I talked about balancing buying things with DIY things and this post is a great example. I have seen some amazing DIY headboards that friends have made, but the tufting process seems so tedious and labor-intensive. Then I starting thinking about all the fabric, batting, and supplies you need. I thought I’d look to see what kind of affordable options where in the stores and I was shocked with how inexpensive many of them were. 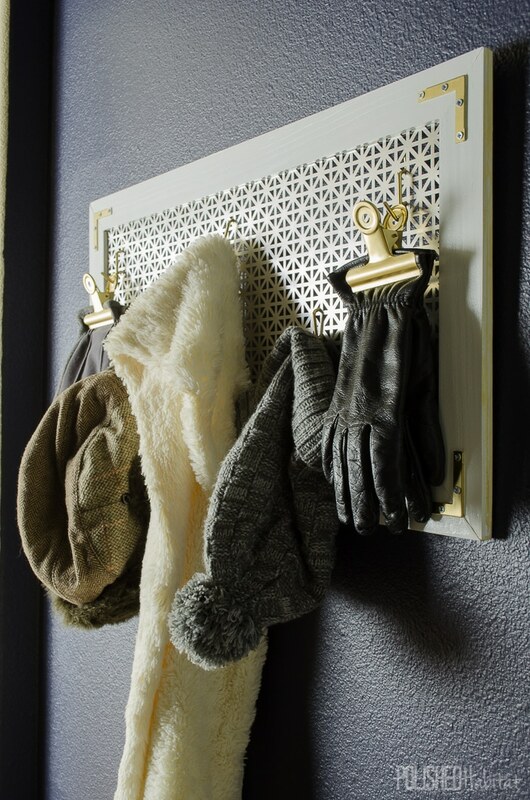 #10: DIY Coat Rack/Entryway Makeover – If I was voting, this project would have been higher up the list. I showed the INSANE power of paint to transform a small space. Not only do I like looking at the room now, I’m proud of the design I created for the DIY Coat Rack AND I’m never running around my house looking for my purse because it goes on the other new coat rack we bought for behind the door to the garage. The whole tiny space is hugely functional for us now. 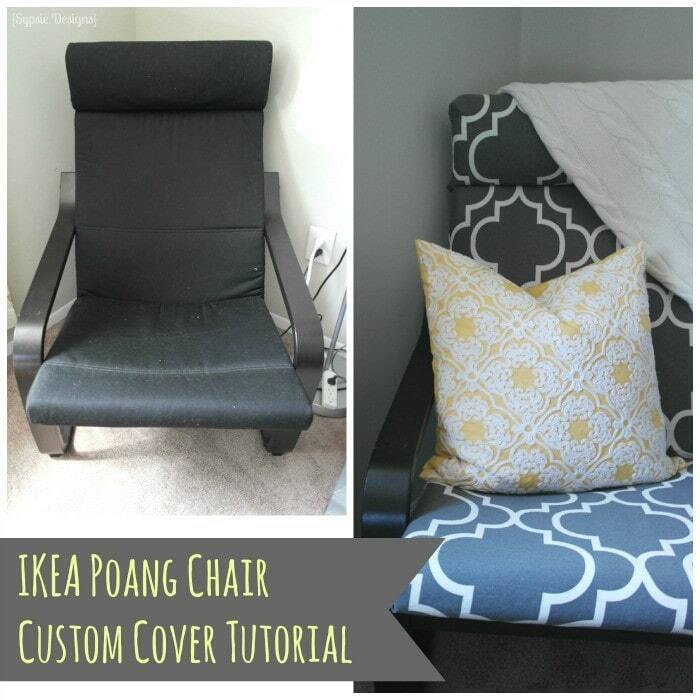 11: Top Guest Post: Poang Chair Cover by Sypsie Designs – The popular Poang chair from IKEA helped make this the most popular guest post this year. The sisters from Sypsie designs figured out how to make a simple cover, and used a unique fabric source to complete their cover with a tiny budget. Brilliant! These posts from prior years are still going strong! Here’s a handy pinnable images if you’d like to remember any of these projects!